Clear all jellies and reach 20000 points complete the level. This level is hard as you have 15 moves and the candy board have double jellies with grill boxes and meringue blockers. To complete this level first try break candies near to meringue blocks as it will help later to break jellies and grill box plus you will have more chance to make special candies. You must need to make special candies to break all jellies within moves and some special candies you can make is colorbomb by combing five same color candies or striped candy by combining four same color candies and wrapped candy by making ‘T’ or ‘L’ shape. 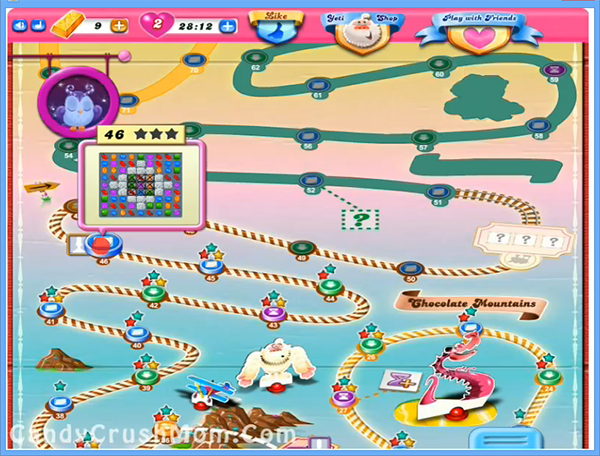 We completed this level with 175320 and used all moves by just playing with special candies and moves.